Saying goodbye to Mommy and Daddy can be sad, but it means I get to see my special friend Nanny. While Mommy and Daddy are at work, Nanny takes care of my brother and me. Are you ready to have a fun adventure today? she asks. I always say yes! Many books educate parents on how to hire the right nanny—what to look for and what not to do —but few focus on the most important person in this situation: the child! Nanny and Me is a sweet, educational story that helps families introduce a new caregiver to their home. 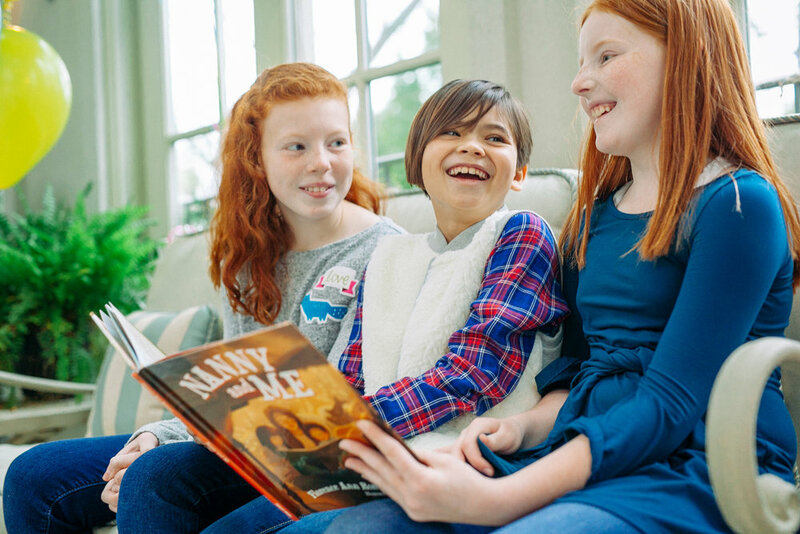 Through adventurous storytelling and whimsical illustrations, this book teaches children that someone else can love them like a parent, and shows them how to open their hearts to a new lifelong friend. It’s the perfect gift for new parents and nannies alike! Such a lovely book! A wonderful book for any family library. What an original idea, to prepare a child for their mom and dad to go back to work. This is very relevant for so many families! No matter what you call your caregiver, this is a must-read for your child! What a great gift! This was a huge hit when I gave it at the last baby shower I attended. Such a sweet book that all ages can relate to. My mom who is 96 and now has her own caregiver loved the message, as well! Beautifully illustrated. I love this book! The illustrations are lovely, and the story highlights the loving bond that exists between a nanny and her children…brought back wonderful memories that my kids have of their time with their nanny from years ago!!! A must-have, especially for children with loving caregivers…!